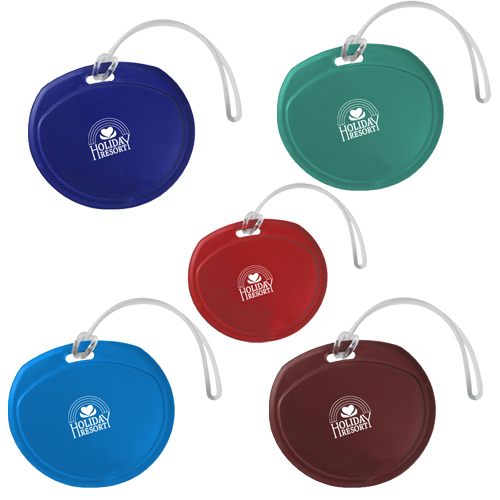 Round Sassy Tag Round Sassy Tag features "sassy saying" on the backside.Now you will know which bags is yours by checking the fun sayings when getting your bag off the conveyor belt at baggage claim. Choose one of the ten possible options when ordering. Includes sturdy strap. Also available in several different colors to choose from.